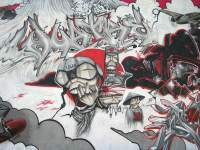 All artwork is copyright © 2005 the artists. 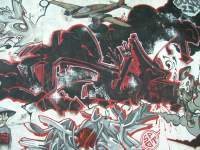 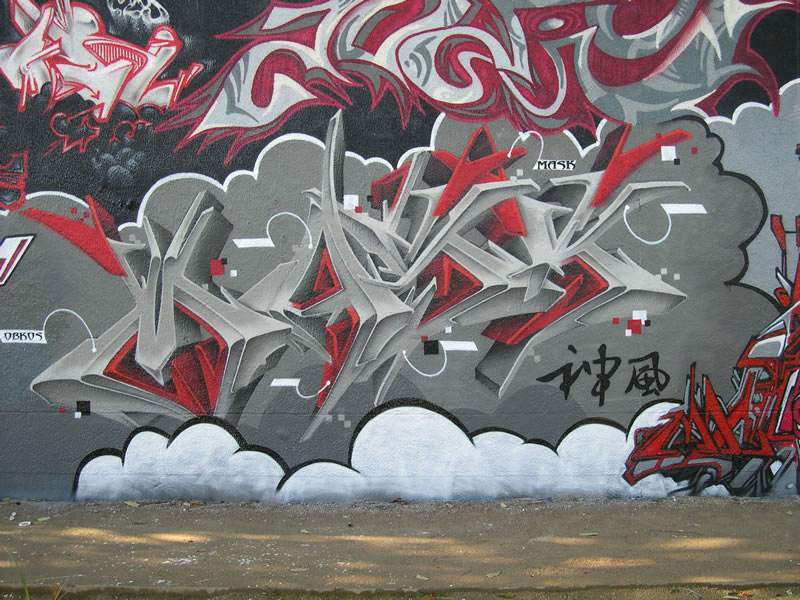 Please send corrections to yo@graffiti.org and mention Paris 24. 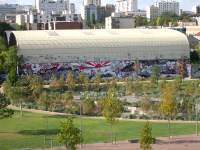 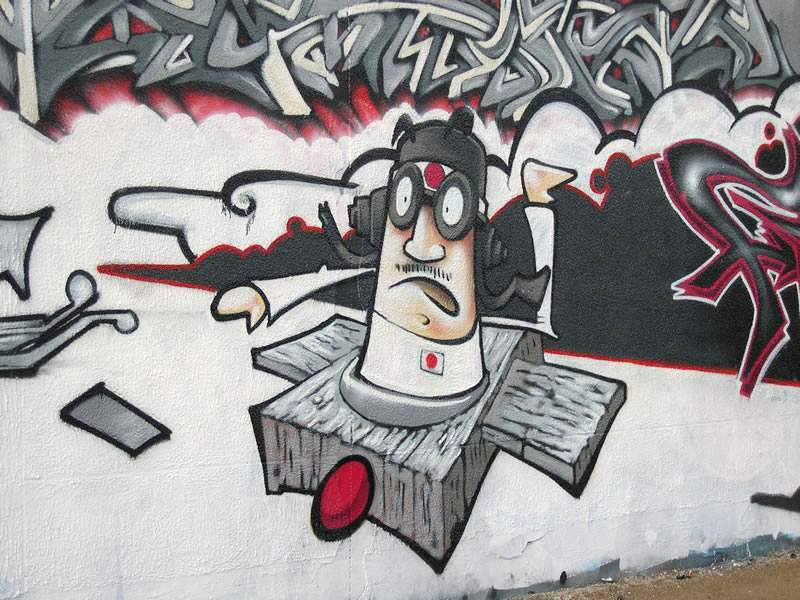 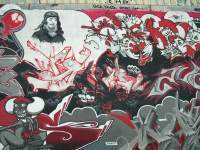 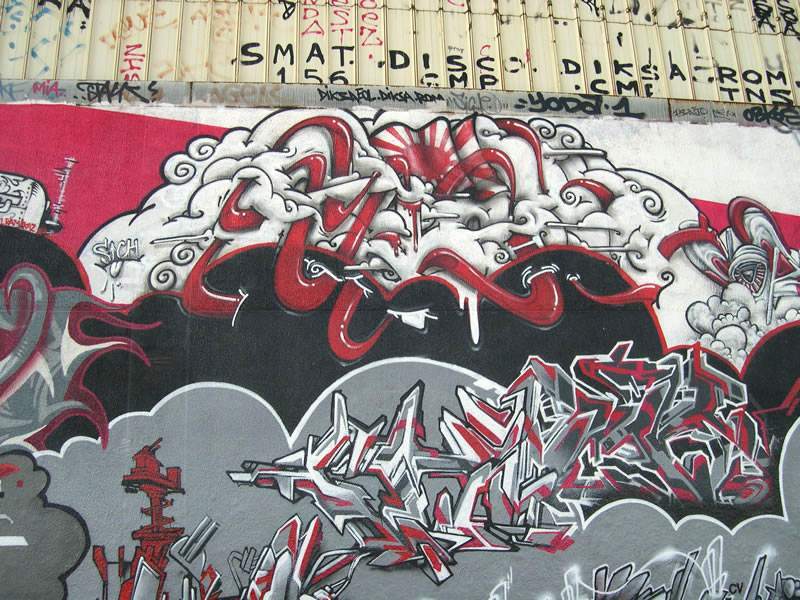 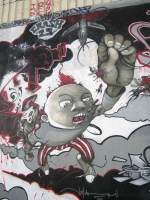 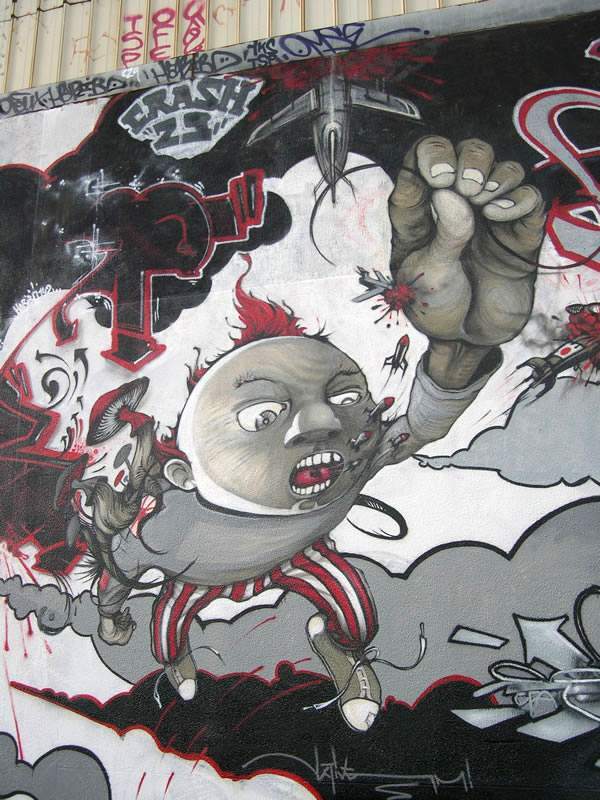 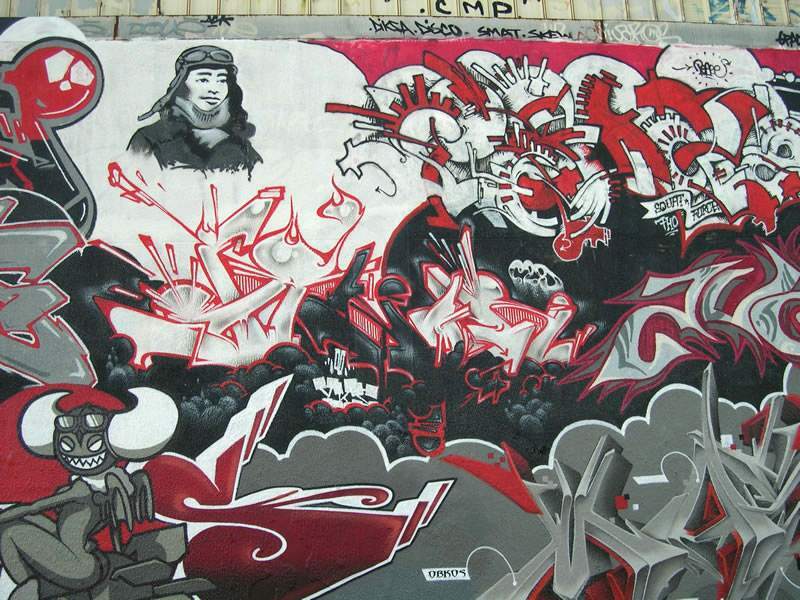 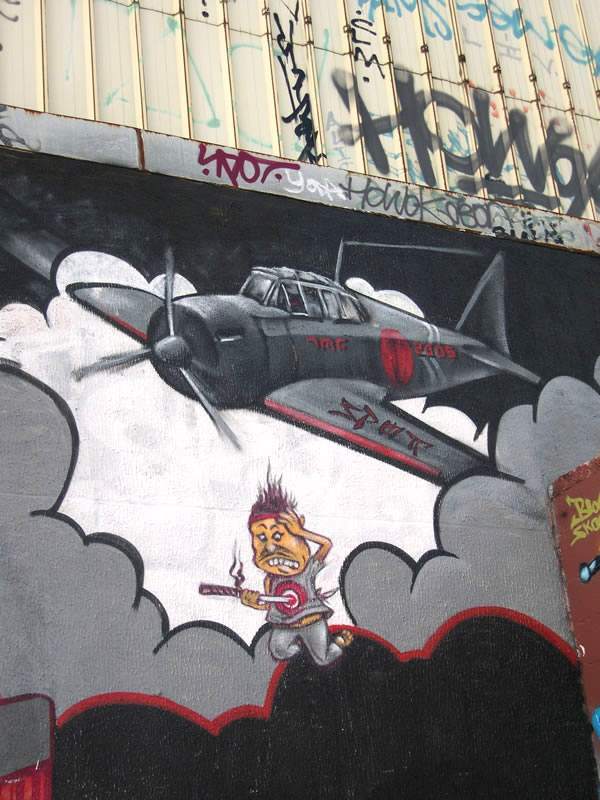 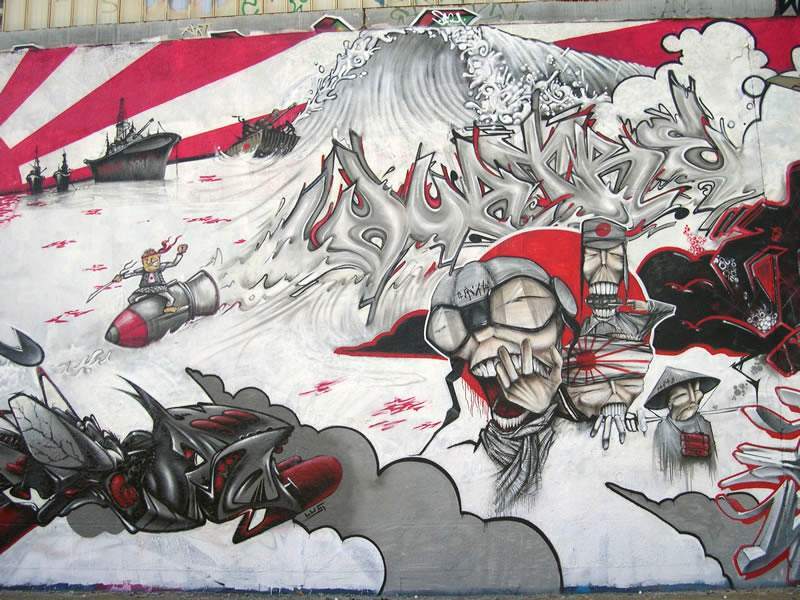 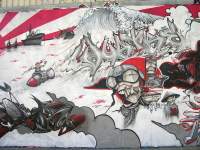 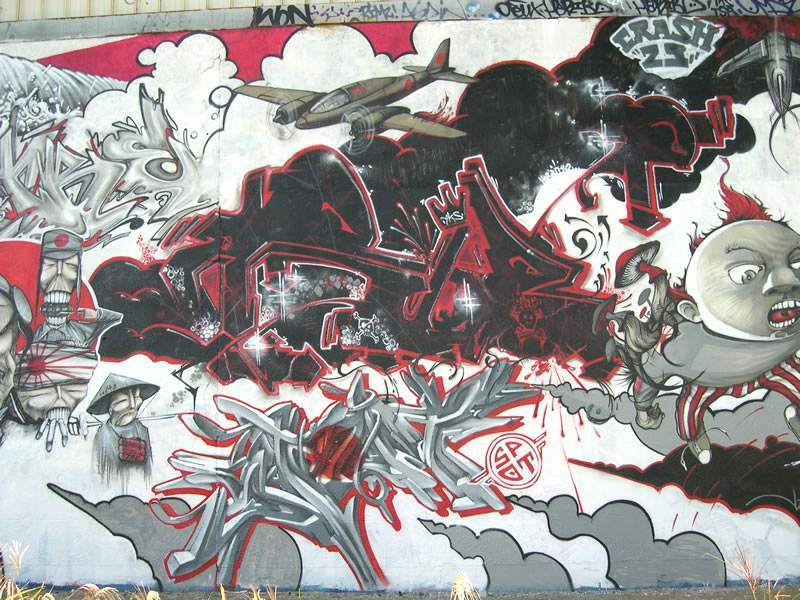 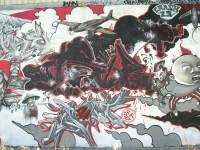 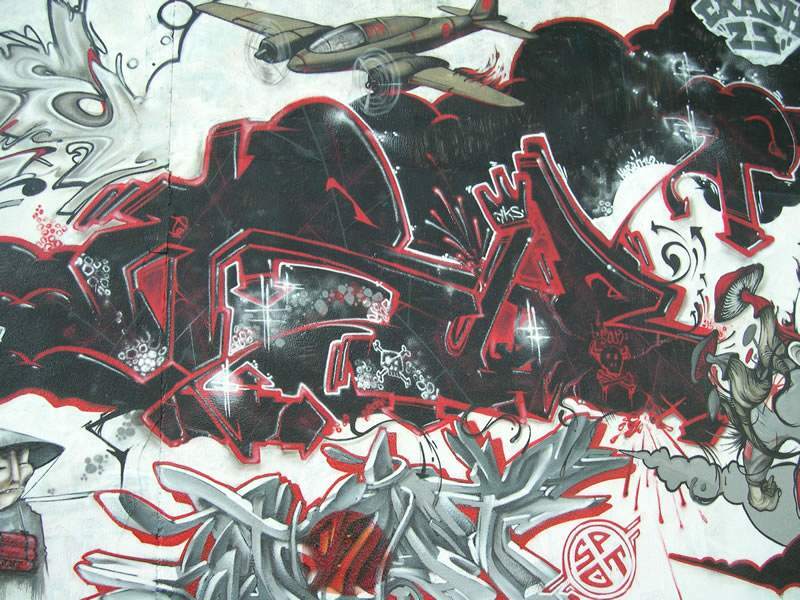 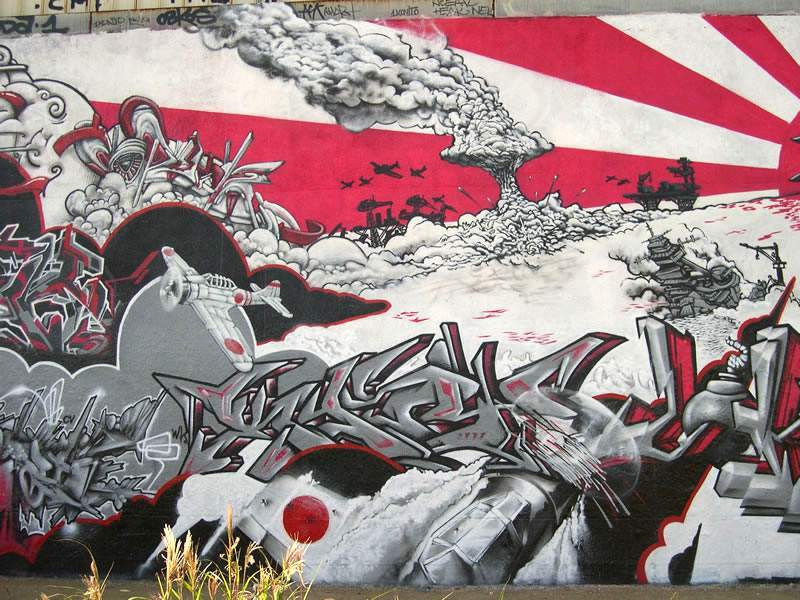 The wall was painted in Ivry (Paris south suburb) in October 2005. 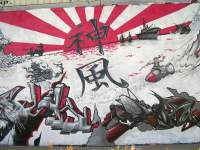 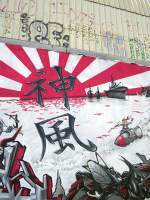 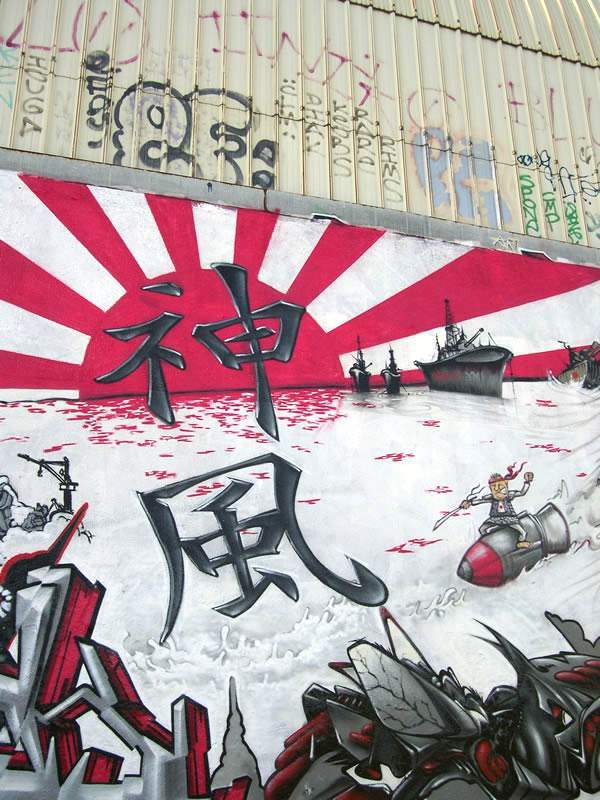 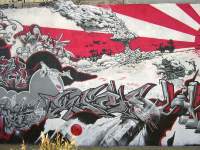 The central theme was "Kamikaze". 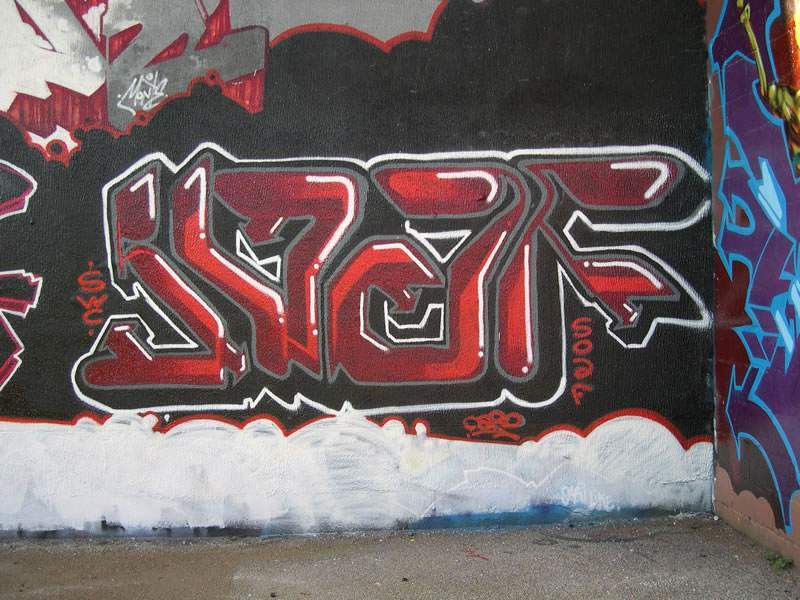 Here is a bigger version (712k) thanks to Stack.